JAPANESE DISTILLERY – YAMAZAKI – WINS ‘WORLD’S BEST SINGLE MALT WHISKY’. Japanese whisky continued its dominance of World Whiskies Awards this year; with Suntory scooping one of the top titles and Nikka securing the blended malt title for the fourth year running. For the first time a South African blend, Three Ships, took the title of World’s Best Blended Whisky. 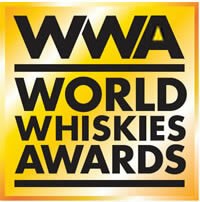 More than 300 whiskies battled during three intensive blind tasting rounds for the coveted titles of the ‘2012 World’s Best Whiskies’.